Twenty future guide dogs had an opportunity to practice going through a Transportation Security Administration checkpoint at Ithaca Tompkins Regional Airport (ITH) Monday night (April 16) so that they would be more familiar with the checkpoint screening process when they do need to catch a flight once they are paired with someone who is blind or sight impaired. TSA officers screened 20 puppies and their trainers from the Finger Lakes Puppy Raising Region of Guiding Eyes for the Blind, as they practiced coming through the checkpoint in an effort to acclimate the future guide dogs with an important piece of the airport experience—the security checkpoint. The dogs also had the opportunity to explore other areas of the airport courtesy of airport officials, who offered the dogs the chance to sniff around the baggage pick-up area and explore the check-in counters inside the terminal. The majority of the puppy trainers were students from Ithaca College and Cornell University. The checkpoint orientation session will result in a smoother checkpoint experience when the puppies graduate into certified guide dogs and return to take a flight, according to officials from Guiding Eyes. The familiarization exercise enables the canines and their trainers to know what to expect when the dogs and the people they are trained to guide, return with plans to take a flight. The orientation session also served as a good review and reinforcement of TSA procedures for screening service animals for the TSA officers who were working at the checkpoint during the orientation session. 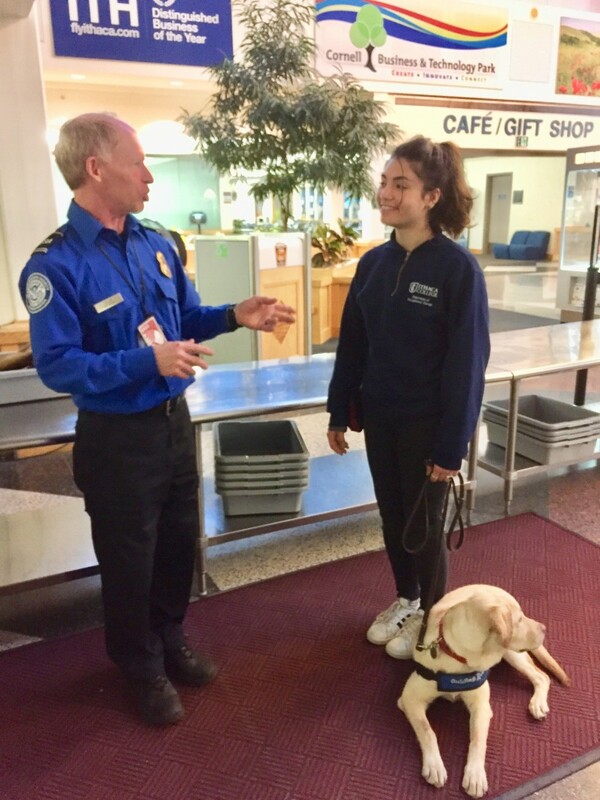 This marks the first time that TSA at Ithaca Tompkins Regional Airport has participated in this type of familiarization exercise for guide dog/puppies in training. 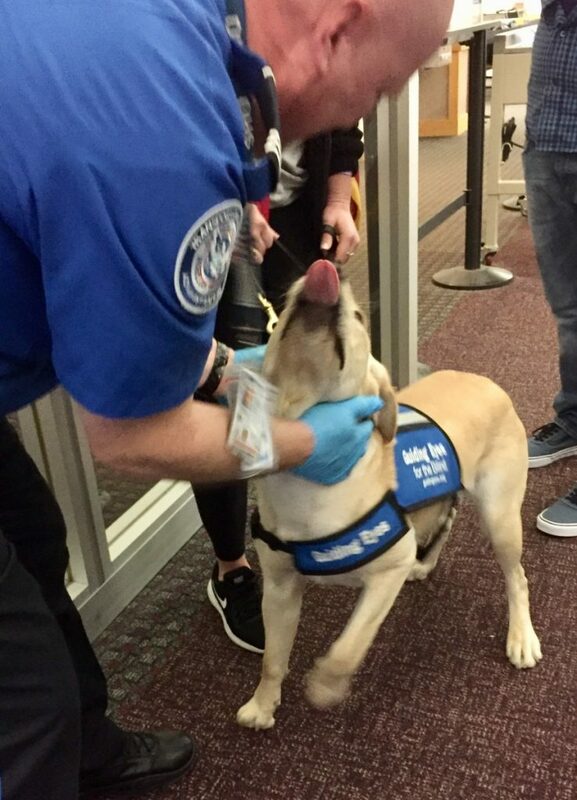 Similar TSA checkpoint orientations have taken place for service dogs at other New York airports including Greater Binghamton Airport, Elmira Corning Regional Airport, Greater Rochester International, Buffalo-Niagara International Airport, LaGuardia Airport, Westchester County Airport and Long Island MacArthur Airport.